Why should I swaddle my baby? What are the benefits? Could Swaddling Hurt Baby's Hips? When to stop swaddling baby? What if my baby doesn't like to be swaddled? safe swaddling has also been proven to reduce the risk of SIDS as it encourages babies to sleep on their backs. Back sleeping has been associated with a lower incidence of SIDS. You can read more about SIDS here. Babies need time to adjust to life outside the womb. We call it the “4th trimester”. It means that your baby’s first 3 months of life can be seen as an extension of the 3rd trimester. It’s basically about letting your baby adjust to the outside world, gently and calmly. Your baby spent 9 months in such a cocooned and nurtured state, that it makes sense to gradually ease them into life outside the womb. Swaddling simulates the coziness and comfort the baby felt in the mother’s womb. Baby can freely move their arms and legs, yet still stay comfortably warm and covered all night. This is beneficial for their long term development. Research has shown that if newborns are swaddled incorrectly, it can be harmful. Most of the research focuses on the practice of tightly binding or wrapping the newborn which restricts natural movement of the arms and legs, and if done very tightly, can reduce full lung expansion. Incorrect swaddling can contribute to hip problems in babies which we will discuss further below. Could Swaddling Hurt Baby’s Hips? Wrapping babies too tightly forcing their legs out straight can increase the risk of developing hip dysplasia. Hip dysplasia can result if there is lack of natural joint and bone movement through the hips and pelvis. You might like to read this article by Professor Nicholas Clarke https://www.bbc.co.uk/news/health-24710090 . In the article Professor Clarke raises concern for the increase in restricted swaddling and has called for such practice to stop. Late diagnosis of hip dysplasia is on the rise and approximately 11 children a day are being diagnosed with this problem according to Healthy Hips Australia. 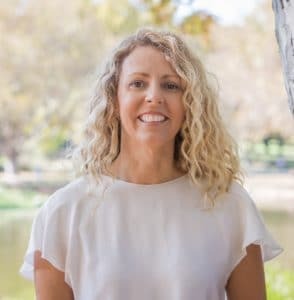 The risk of hip dysplasia has also been highlighted in the article Loosen Up for Healthy Hips by Cathy O’Leary at the West Australian. Education is key to help new parents become aware of this issue. Try Healthy Hips Australia for more information. At Bubbaroo, we have always been concerned about the restrictive nature of many of the swaddle products on the market. When Nicole developed the Joey Pouch Swaddle Wrap and Joey Pod Transitional Swaddle they were specifically designed with a bell-shaped bottom to ensure full hip flex in newborns and freedom to kick their legs. Is swaddling safe? The short answer to this is yes, but only if the method is employed correctly. Whilst swaddling is an ancient technique, it’s important to understand modern research and advice. Ensure you choose a safe swaddling product/technique for your baby. Choose Bubbaroo and you’ll know your baby is in safe hands. Safe swaddling involves comforting and securing the newborn baby from their own startle reflex, but not restricting all natural movement. For healthy development, newborns need to breathe freely, have some movement of their arms and be able to frog and kick their legs. – Allow room for movement around the hips. – Position baby with their hips bent and their knees apart – like a frog! – Make sure the upper body is firm but not too tight. Allowing for chest wall movement. – Never place a swaddled baby on their tummy. – Stop swaddling once your baby can roll onto their tummy and then onto their back again. When your baby is learning to roll, it’s time to transitioning your baby out of swaddling before they’re actually rolling. Always follow Red Nose guidelines for safe sleep. -Do not wrap legs tightly and straight down. The legs should not be pressed together. Young babies’ hip joints can be loosened if the legs are straightened and then swaddled. -Do not use baby sleeping bags and swaddle products that are too tight around the thighs or chest. – Do not use polar fleece or other heavy weight polyester products as they could cause your baby to overheat. At Bubbaroo, we have always been concerned about the restrictive nature of many of the products on the market. All of Bubbaroo’s products conform to safe sleep recommendations. We have several products that can assist you to swaddle your baby. It all came about when my son Jacob was easily able to escape out of any muslin swaddle blanket I used on him! We used to call him “Houdini”. He would get his arms out and then wake himself because of his strong startle reflex, where his arms startle and give him a fright! I realised that something “smarter” was needed to contain and comfort him, and this is when the Bubbaroo Joey Pouch Swaddle Wrap was born. Baby needs to be able to breathe freely. 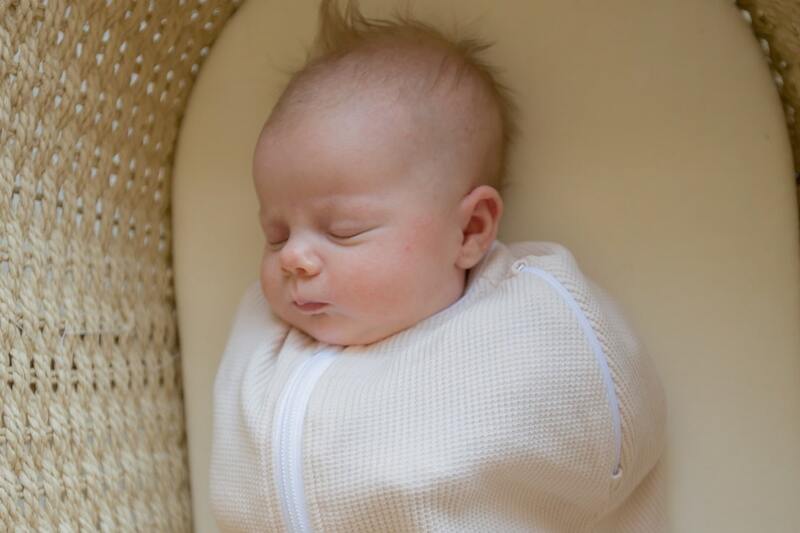 The swaddle should not be too tight over the chest so it restricts your baby’s breathing ability. The swaddle should be firm, to prevent loose wrapping becoming loose bedding. However the wrap should not be too tight and must allow for hip and chest wall movement. 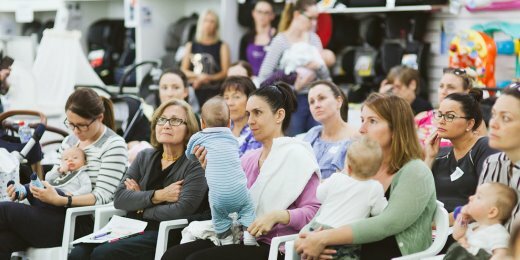 The Joey Pouch allows babies to still move their arms and hands and self-sooth by sucking on their fingers and hands through the swaddle if they wish. Equally the internal wrap soothes newborns by calming their startle reflex, stops them from scratching their face and generally makes sleep time a whole lot easier. Traditional swaddling or wrapping has long be associated with simulating a strait jacket and preventing baby from moving their arms at all. It’s important to note that tight chest wrapping or swaddling has been associated with an increased risk of pneumonia because it doesn’t allow for chest wall expansion . The Joey Pouch allows baby to sleep in the natural arms up position so they can more easily self soothe and settle back to sleep. The natural arms up position can be achieved without forcing baby’s arms into this position. Baby can also move their arms within the Joey Pouch swaddle. 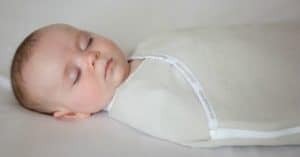 Safe swaddling provides baby with comfort similar to being in their mother’s womb. Safe Sleep Research suggests that swaddled babies sleep better and that swaddling a baby in the first few months of their life may help babies to remain on their back. This reduces the risk of Sudden Infant Death Syndrome (SIDS). However, please note that the Joey Pouch Swaddle Wrap should not be used once the baby is able to roll from their back to their tummy. Bubbaroo supports Red Nose (formerly SIDSandKids) safe sleeping recommendations and is committed to communicating the message on how to reduce the risk of SIDS. The Joey Pouch Swaddling Bag was specifically designed with a bell-shaped bottom to ensure full hip flex in newborns and freedom to kick their legs which is a key beneficial movement for hip development and health hips. Swaddle Wraps aren’t intended to be a straight jacket! There is slight pressure around your baby’s body, but this is designed to be comforting, NOT to restrict or force arms or legs into a certain position. The Joey Pouch Swaddling Wrap is made from a beautiful 100% knitted cotton waffle fabric which has natural stretch and give, allowing for breathability. It can be used all year round, keeping baby covered but not at risk of overheating. It is designed specifically for newborn babies from 3.1kg. You can even get to baby’s nappy and change baby without having to unwrap them – great for those middle of the night feeds where you don’t want to disturb your baby too much! Below is my daughter Emily. I would feed Emily during the night in her Joey Pouch, change her nappy and then settle her back to sleep in her Joey Pouch. You can rest assured in a Bubbaroo Joey Pouch Swaddling Wrap that your baby will experience safe and sound slumber. The combination of having the correct equipment and knowing how to swaddle a baby safely will ensure the health, comfort and well-being of your baby. Every Joey Pouch comes with a complimentary door hanging temperature guide to take the guess work out of bedtime. So yes, there is a way for you to swaddle your baby whilst secure in the knowledge that their natural movement is unrestricted. Swaddling can be an effective and safe way to keep your newborn covered and calm while sleeping, it just needs to be done right. Choosing to stop swaddling can be a momentous decision but you need to look at it from a safety point of view and make the call earlier, rather later. The swaddle has done its job soothing a restless baby, but now it’s time to start weaning baby off. We typically recommend to start weaning your baby once the startle reflex settles down when your baby is about 3 months old. There are several signs that you may need to stop swaddling your baby. You can read more about the signs and how to transition your baby out of swaddling in our blog Transitioning Your Baby Out of Swaddling. Once baby starts to rock and roll from back to tummy you need to stop swaddling. This means it’s time to start transitioning your baby out of the Joey Pouch or any swaddle product. We would highly recommend transitioning out of swaddling at 2-3 months by using our Joey Pod Transitional Swaddle Bag. The Joey Pod Transitional Swaddle can be used for babies weighing from 4kg. Perhaps your baby is also starting to show signs of not wanting to be snuggled up so tightly. 1) First as a swaddle with both baby’s arms in. 2) Second to transition from swaddling with one arm in one arm out. 3) Finally with both arms out like a baby sleeping bag. While there’s slight pressure around baby’s body, it’s designed to be comforting and not straight-jacket like. The unique bell shape of the Joey Pod protects against hip dysplasia as baby is able to move, kick and frog their legs. Your baby can also sleep in their natural ‘arms up’ position without forcing them into any particular position. In the Joey Pod, baby can self-soothe and settle by sucking on thumbs, finger or hands. In the Joey Pod, your baby can self-soothe and settle by sucking on thumbs, finger or hands. With the Joey Pod you can feed at night time feeding without needing to unwrap baby. 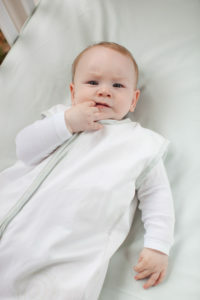 You can also use the bottom opening zip for a quick nappy change and safer handling of your baby. You can then use the Joey Pod as a baby sleeping bag with no uncomfortable open press studs for baby. The Pod also has a convenient travel system to accommodate a 3 or 5 point harness of a car seat or pram. We have had many “hippy babies” in hip braces use our Joey Pouch Swaddle Wrap and Joey Pod Transitional Swaddle. An example is the gorgeous Jude pictured below. Jude has used our Joey Pouch and Joey Pod whilst in a hip brace. Our market research indicates that about 85% of babies are swaddle in the first month of life. If your baby doesn’t like to be swaddled then you can put them straight into a baby sleeping bag. Bubbaroo offers Joey Swag Baby Sleeping Bags from newborn to 6 years. Whether you decide to swaddle or not, we recommend that you introduce a bedtime routine for your baby. This could start with a warm bath, then putting baby in their Bubbaroo Swaddle or Baby Sleeping Bag, then a book and then bed. A bedtime routine is like a “countdown” for your baby so they know what to expect after each step. You can read more in our blog “Bedtime Routine for Baby”. Your baby is growing up so fast! Before you know it she’ll be walking and talking back to you! Try to tune into your baby’s needs and comfort her with swaddling when little. 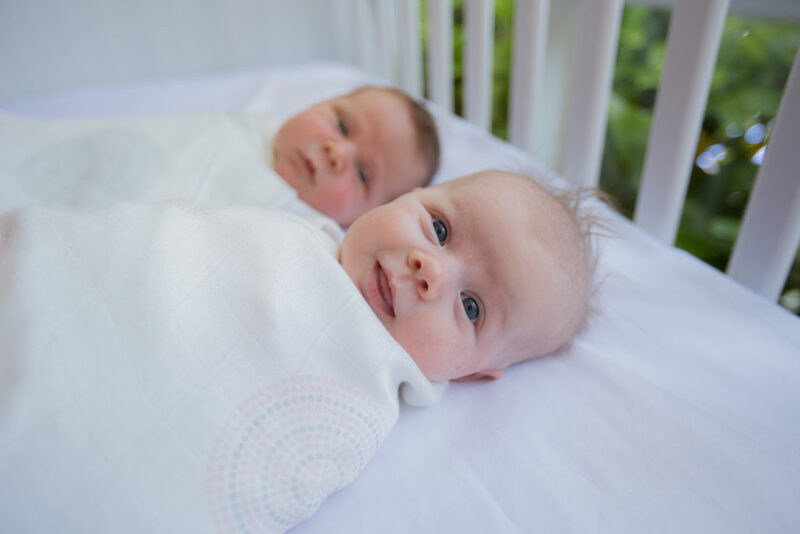 Swaddling provides the coziness that baby experienced in the womb. It takes some time for babies to become accustomed to the world and you can help her adjust gently and easily through the different stages of swaddling. Good luck! Yurdakok K, Yavuz T, Taylor CE. Swaddling and acute respiratory infections. American Journal of Public Health 1990;80:873-5.